A FREE Bible lesson to help your youngest children learn that God wants them to SHARE! This week I have a Preschool Bible lesson for you on sharing! This lesson is based on the account of the early church found in Acts 2:44-47. I hope that you can use this lesson to help your youngest kids learn that God wants them to share. I also hope you will consider using some of my other curriculum — and that you will take a look at my newest 10 week series for churches and families called Bold. This series is easily adaptable for kids of all ages and will help them learn to live BOLD LIVES for Jesus. Check it out! Have a great day and keep serving Jesus! 1. Give each child one crayon and a piece of paper. Say: I want you to draw a rainbow on your piece of paper. Are you ready? Go! The kids will not be able to draw a complete rainbow unless they share their crayons with each other. It would be super if your kids figure this out on their own, but if they don’t, give them some guidance through the activity. At the end, say: Nobody had everything that was needed to draw a rainbow, but when you shared what you had with everyone else, you were able to draw a beautiful rainbow! God wants us to share with others! 2. Play a game of “Red Light, Green Light”. Say: Today, we are going to pretend that we are on our way to church. We want to get to church as fast as we can . . . but we must obey all the traffic lights! When I say “Green Light”, you run as fast as you can to the church (me). When I say “Red Light”, you have to stop. If you don’t stop, you will have to go all the way back to the beginning. Are you ready? Here we go! Play this several times. When you finish, say: We sure were in a hurry to get to church! Today we are going to learn about how the first church SHARED with one another, and how God wants us to SHARE, too! Gather the kids together for the lesson. Sit down in front of them and do the finger play, “Here is the church, here is the steeple, open the doors and see all the people”. Teach the kids how to do it themselves and do it with them a few times. There are a few things we know about that first church. One thing we know about the people who went to that first church is that they SHARED with one another! What are some things you think they shared? Take out the bag with the items in it that you gathered beforehand. Take the items out one by one and discuss how they would have shared that item. After each item, say, “Can you share _________, too?” (For example, when you take out a clothing item, say: “What is this? Do you think they shared their clothes with one another? Can you share your clothes, too?”) If you have older kids, ask them how they can share that item with others. When you finish going through all the items, say: God wants us to share with one another! Let’s sing a song about sharing. Hold up an item from the bag and insert that name into the song when you sing that verse. God wants me to share! Ask the kids if there is anything else they can share. When they suggest something, sing the song with that item in it. Do this as long as interest allows. End your time together by making a sharing mural. Allow the kids to draw pictures of items they can share (or provide magazines and have them cut the pictures out). If it is a nice day, you might want to go outside and let them draw pictures with sidewalk chalk. Remember, they are drawing pictures of things they can share. Encourage them to be specific . . . for example, draw a specific toy they have that they can share instead of just writing the word “toys”. Close the time by praying together, asking God to help them share with others. 1. Have the kids sit in a circle. Pass around a ball and play some music. When the music stops, whoever is holding the ball says one thing he/she can share with someone else. 2. Give the kids two candy bars (or small bags of candy) – one to keep and one to give away. Encourage them to take that candy bar (or bag of candy) and share it with someone else this week! 3. Make something together that the kids can share with the whole church! For example, gather the ingredients and have the kids work together (with a lot of patient assistance) to make a batch of cookies. When church is over, have the kids pass these out (share these) as people are leaving the church. 4. Make this cool envelope church art project. While you are making it, talk about how the early church shared with one another, and how we need to share, too! 5. 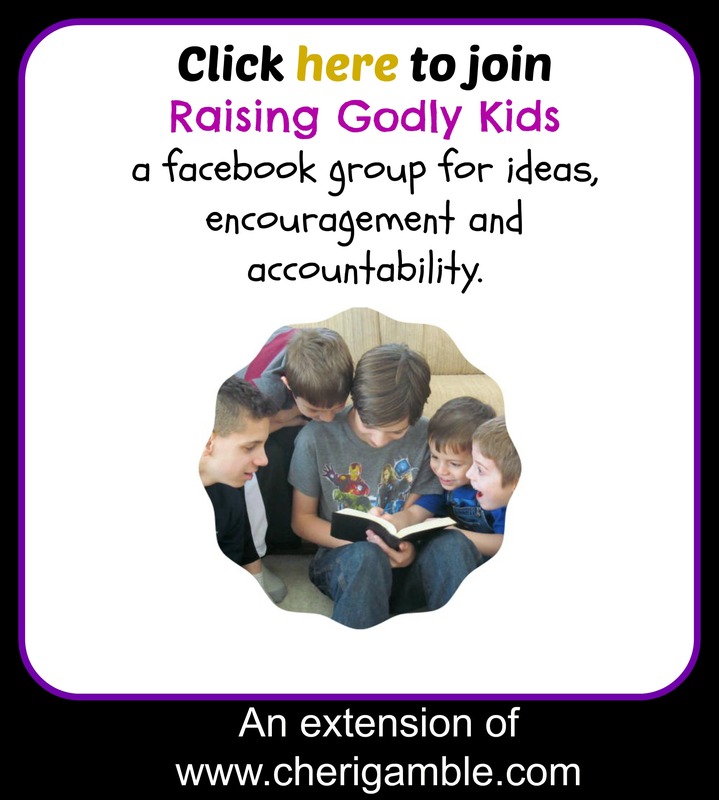 Show your kids how your church is sharing with others! If your church has a food pantry or clothing closet, take a “field trip” to visit it! Talk about how people bring in food (or clothes) that they can share with others. Encourage them to bring in some food (or clothes), too! Take a minute to pray for the people who will receive the items your church gives away. You CAN make a difference in the world! Check out my new book that is meant to encourage you to get out and SIMPLY SERVE!